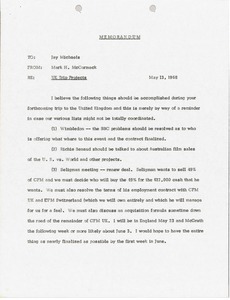 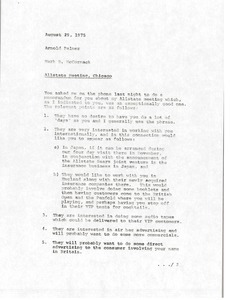 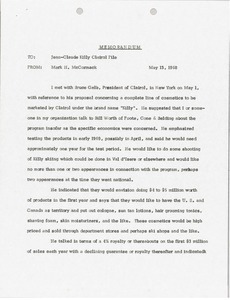 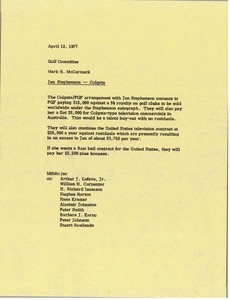 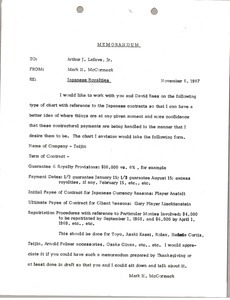 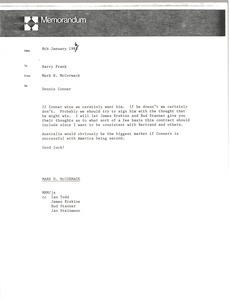 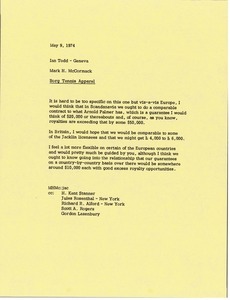 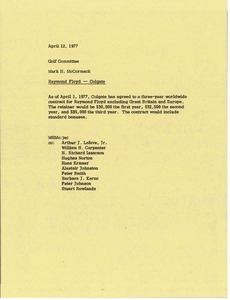 McCormack writes regarding the Colgate/PGF arrangement with Jan Stephenson. 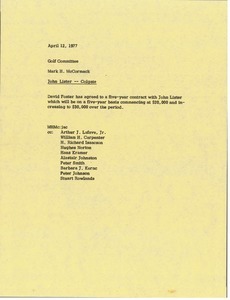 David Foster of Colgate has agreed to a five-year contract with John Lister. 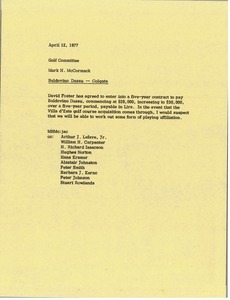 David Foster of Colgate has agreed to a five-year contract with Italian golfer, Baldovino Dassu.